Ok, so how many times has this occurred: someone asks you what you do for a living and you tell them that you are a Product Manager and they fire back at you “Oh, so you manage projects?”. Grrr, it’s really no fair – the two disciplines really have nothing in common. Well, wait a minute, maybe they do. No, no they really are different. Dang it. What’s the difference between the two? A lot of the confusion comes from the simple fact that the two jobs do share a lot of things in common. However, never fear, they really are completely different no matter what your friends or your boss tell you. In a nutshell, the differences fall into three different categories: scope, execution, and results. Scope: A project manager has the somewhat enviable benefit of having the hope of there existing clear cut boundaries that define what he/she is responsible for. They are responsible for a project that uses resources, has a schedule, and has a clear set of deliverables. A successful product manager on the other hand has a less defined job of creating a successful product. The product will be driven by not so much a set of requirements, but rather a customer need which may be fickle and change over time. A product manager has to be able to see through requirements and determine what the root cause of the customer’s issue is and create a product that solves that. 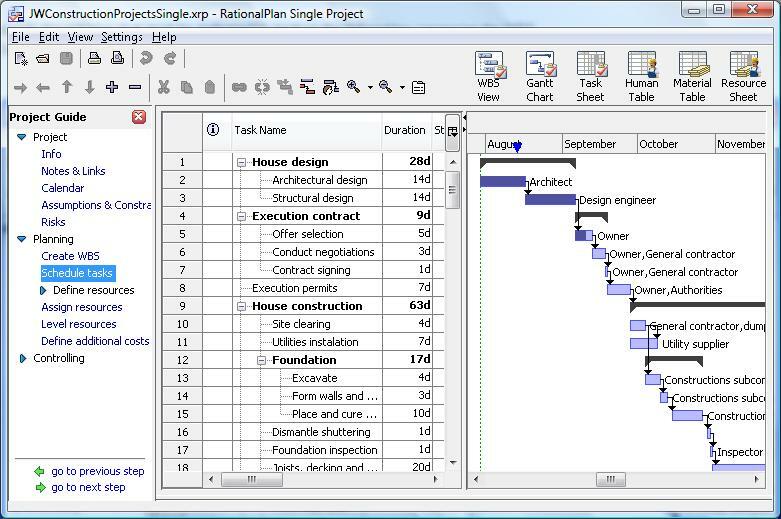 Execution: The project manager is responsible for basically reporting on the status of the project and he/she has a whole host of tools to do this with. However, the project manager is not responsible for designing the product. In fact the project manager does not have to be a subject matter expert – they can mange projects that they know nothing about the underlying technology. A Product Manager on the other hand desperately needs to know everything about how the product works. They need to know the motivation behind every design decision so that they can explain it in non-technical terms to a customer. A product manager is going to have to be able to sell (something a project manager never has to do) his/her product to others both internally and externally. Results: How is a project manager judged? If a project follows a set schedule, delivers what was requested when it was promised and does not exceed its budget, then it is considered to have been a success. Basically, the less attention a project attracts, the more successful it is deemed to have been. The product manager on the other hand is expected to have created a product efficiently (similar to a project manager’s project), but has the additional burden of having to be successful no matter if it is delivered to an internal or external customer. If the product is a runaway success and gets lots of vocal praise from the customer than the product manager is deemed to have done a good job. Yes, there are a lot of similarities between the jobs. However with due respect to both project managers and product managers, you can’t switch them around and expect success. Product Management really does require a special set of skills – it’s an art, not a science. Have you ever been confused with a project manager? Does anyone in your family really understand what you do for a living? How do you get along with project managers – are you friendly or bitter enemies? Leave a comment and let me know what you think. The Virtual Fence – Where Was The Product Manger? AccPM Poll Results: Who gets more respect where you work Product Managers or Project Managers?